Conscientious objectors Jonathan Ben-Artzi (ISR12371) was today sentenced to his seventh prison terms. Jonathan Ben-Artzi already spent a total of 161 days in prison. He was now sentenced to a further 35 days - a total of 196 days in prison. This time he was sentenced by a general of the manpower department of the Israeli "Defence" Forces - an indication that his case is by now too hot an issue for the normal procedure. His seventh imprisonment can be seen as an attempt to punish a very outspoken conscientious objector, and as a response to the Shministim - the high school students announcing their refusal to serve. "I, Jonathan Ben-Artzi, am refusing to join the army on grounds of pacifism. My profound convictions in nonviolence began when I was a small child, and developed over the years into a broad political philosophy. Because of my beliefs, my own country is going to imprison me, in defiance of international laws, basic moral values, and fundamental human rights. I will go to prison proudly, knowing that this is the least I can do to improve this country, and the cause of pacifism." Jonathan Ben-Artzi filed for exemption from military service on grounds of conscientious objection two years ago, and even went to the Israeli Supreme Court. As Israel doesn't recognise the right to conscientious objection, the Israeli military decided not to exempt Jonathan Ben-Artzi, and the Supreme Court decided not to interfere with the military procedure. After being sentenced on 8 August 2002, Jonathan Ben-Artzi was then sentenced again on 4 September, 1 October, 21 October, and 10 November 2002. A picture of Jonathan Ben-Artzi can be found at http://wri-irg.org/co/BenArtzi.jpg . The case of Jonathan Ben-Artzi indicates a tougher response from the Israeli authorities. Usually, conscientious objectors were sent to the "Incompatibility Committee" after spending 90 to 100 days in prison. This seems to be changing now - earlier this year conscientious objector Victor Sabranski was jailed five times for a total of 126 days. 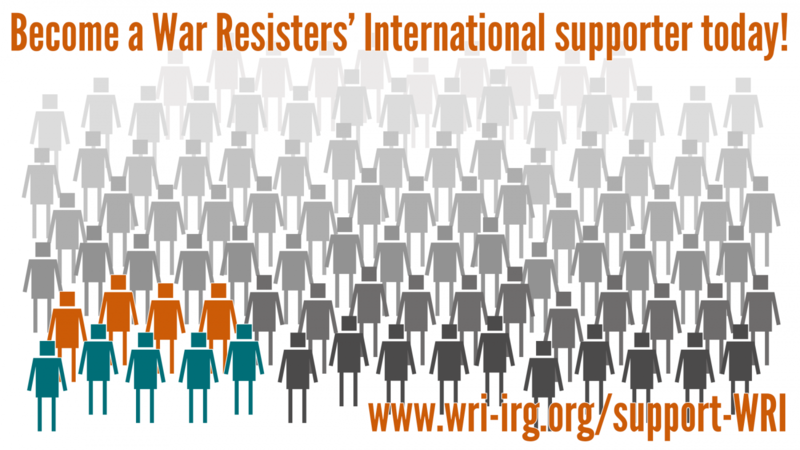 War Resisters' International and New Profile decided to submit his case to the UN Commission on Human Rights Working Group on Arbitrary Detention (see http://wri-irg.org/news/2002/newprofile.htm). The new harsh treatment of conscientious objectors also seems to be a response to increased unwillingness in Israel to serve in the army. Besides open conscientious objection, many reservists ignore their call-up to reserve duty, for various reasons. In addition, the number of open refuseniks is increasing steadily. War Resisters' International calls for strong protests against the repeated imprisonment of conscientious objectors in Israel, especially against the seventh prison terms for Jonathan Ben-Artzi. War Resisters' International calls for letters of support to Jonathan Ben-Artzi. War Resisters' International calls for strongly worded letters of protest to the Israeli authorities, and Israeli embassies abroad. We recommend you refer to UN Commission on Human Rights Resolutions 2002/45 and 1998/77. War Resisters' International calls for the immediate release of conscientious objectors Jonathan Ben-Artzi and Uri Ya'acobi.